Today was one of those days I just did not feel like running- so I took out the bike for 15 miles or so, forcing the pace a few times just to give my legs and aerobic system a little workout. Cycling is a great complement to running- in fact if you are so inclined it wouldn't be a bad idea to bike and run an equal number of miles on a weekly basis. 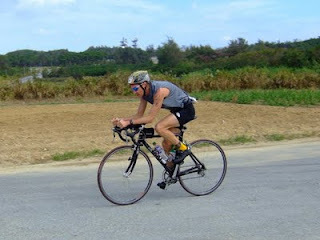 You should be able to do that comfortably on 2 rides a week- 40 miles running, and 2 x 20 mile bike rides. I think you'll find that after a few weeks your legs will feel fresher on your runs than when you ran daily.